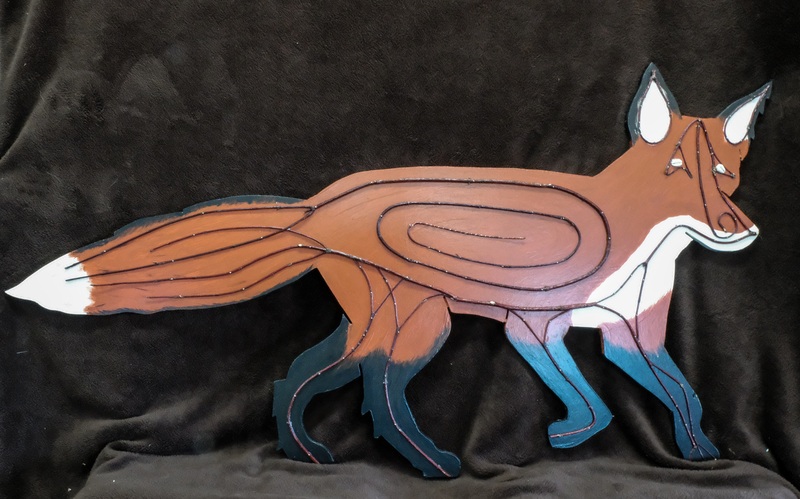 The fox project was part of the Lion’s Head 100th and BPSA 20th anniversary celebrations. 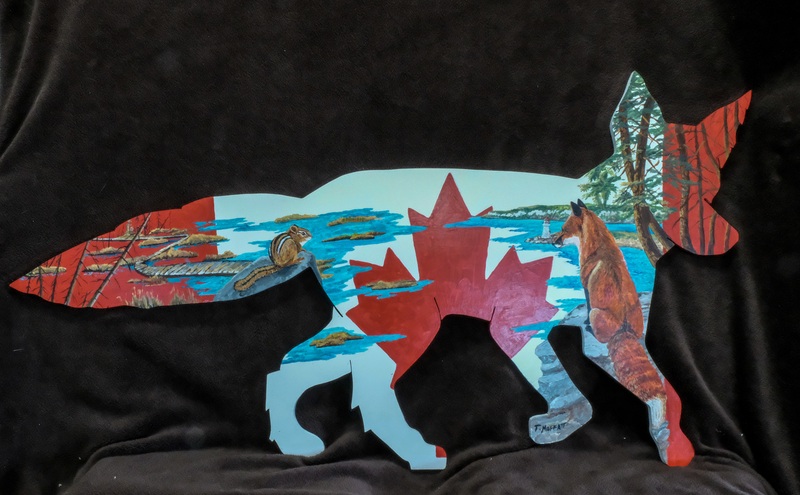 Foxes are abundant on the Bruce Peninsula. 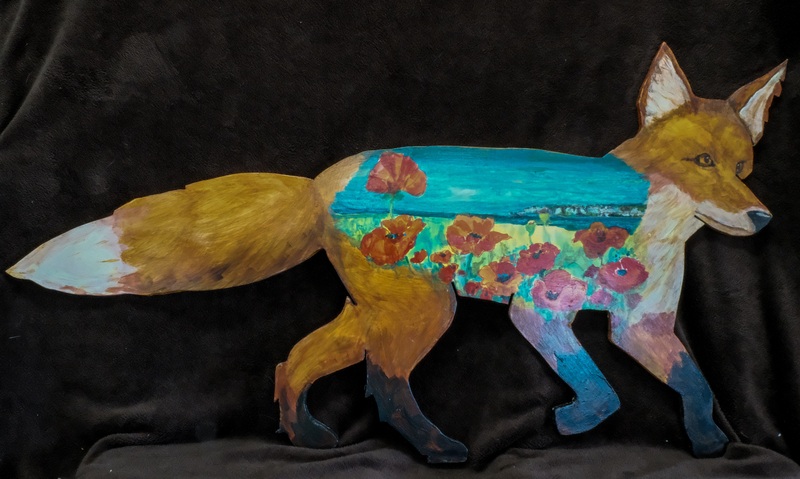 Residents and visitors enjoy and talk about Fox sightings. 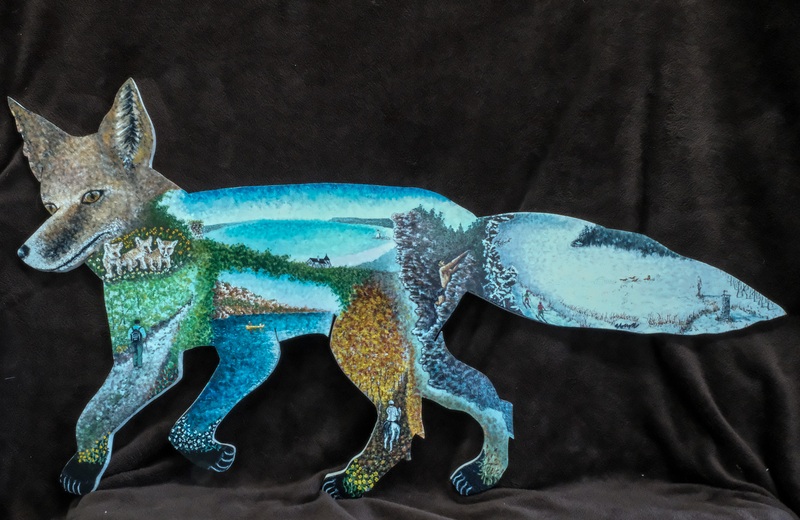 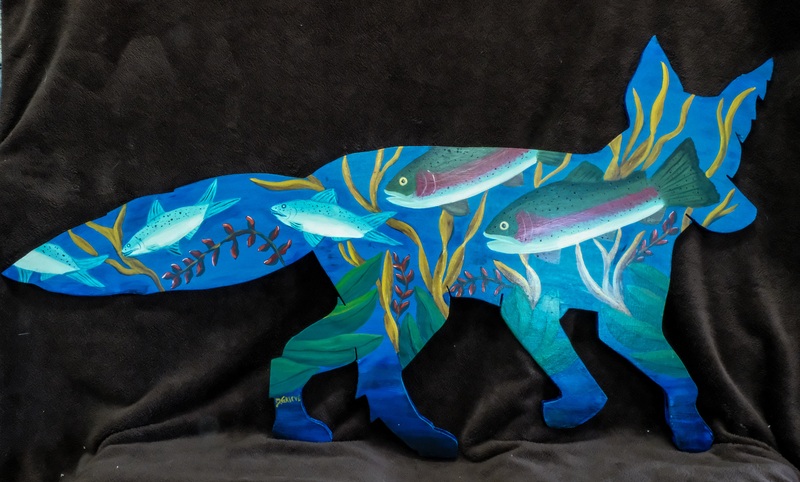 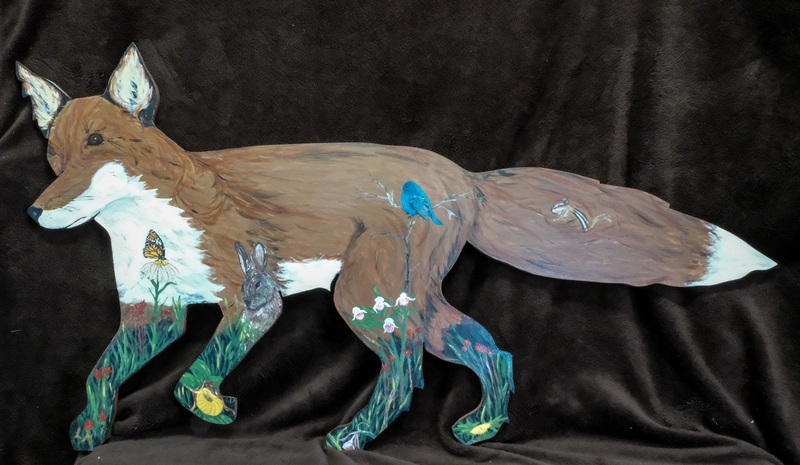 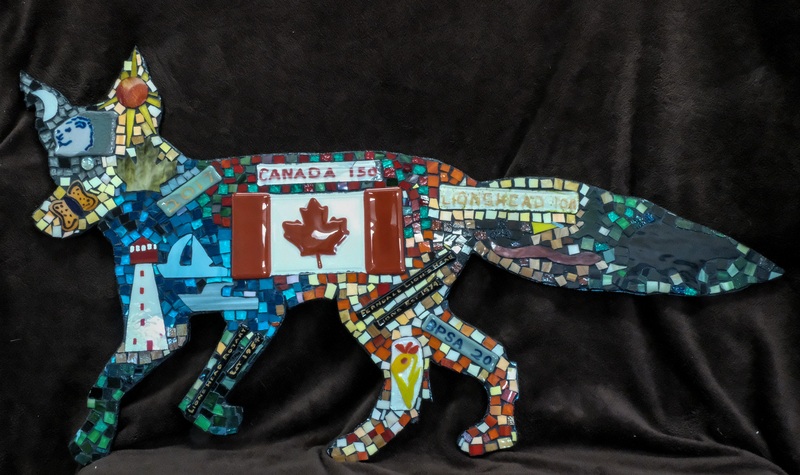 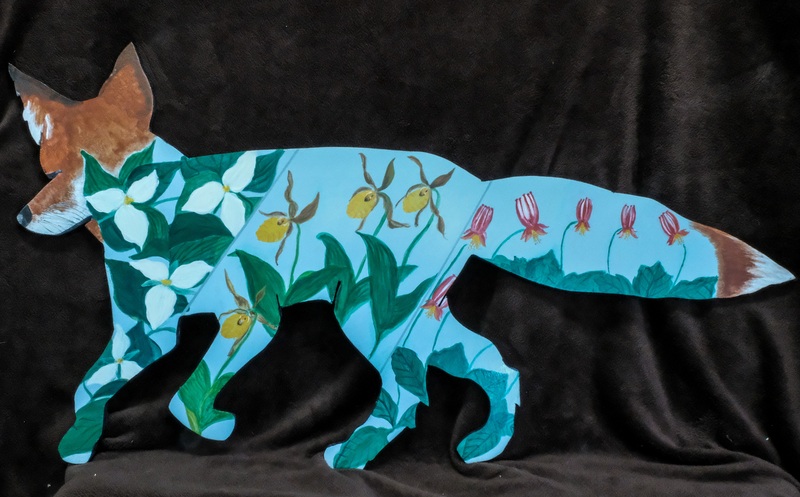 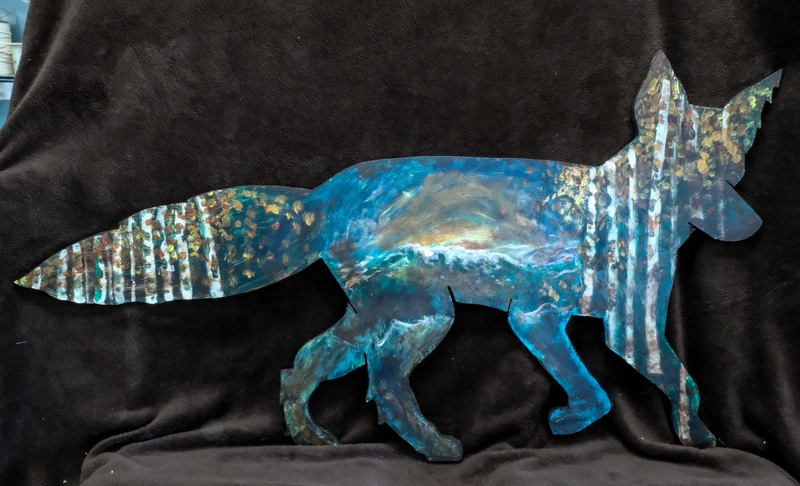 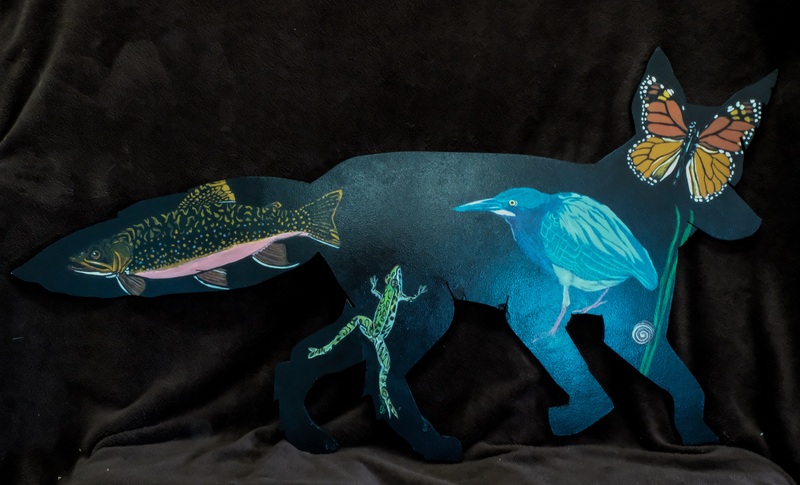 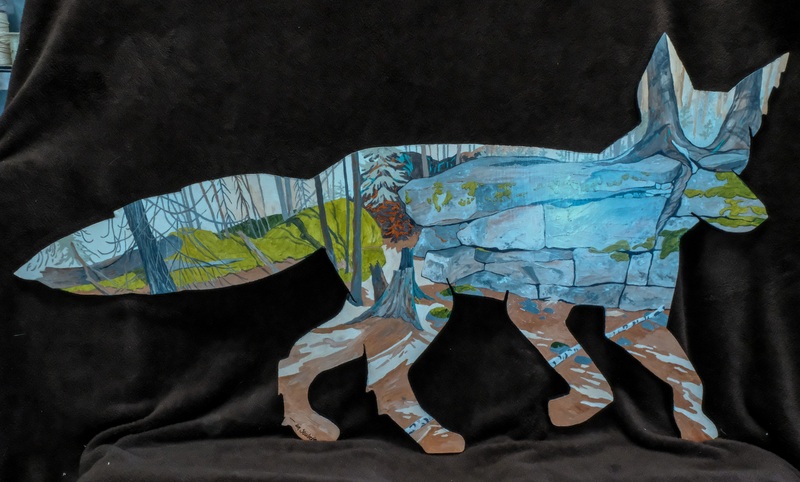 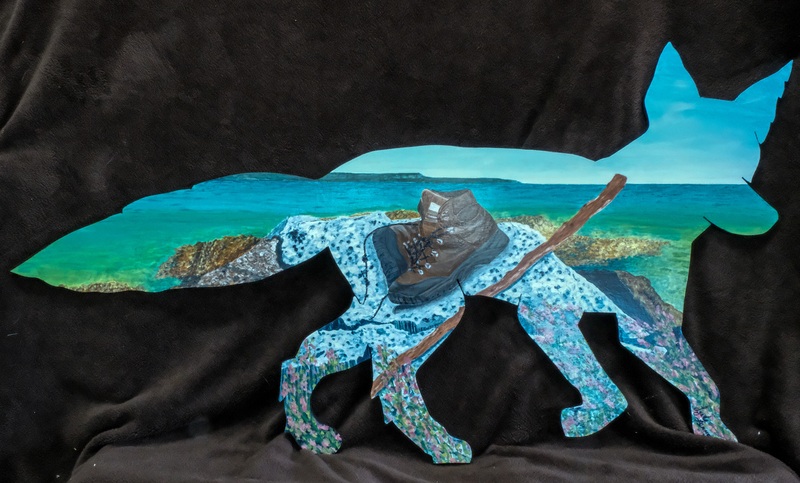 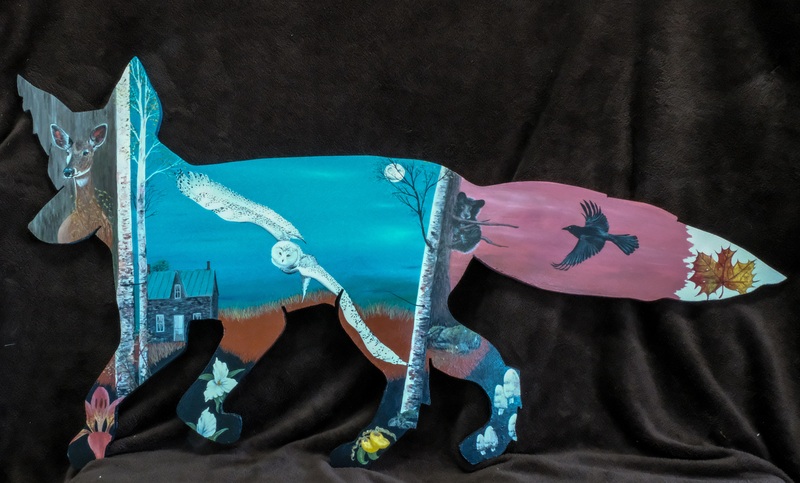 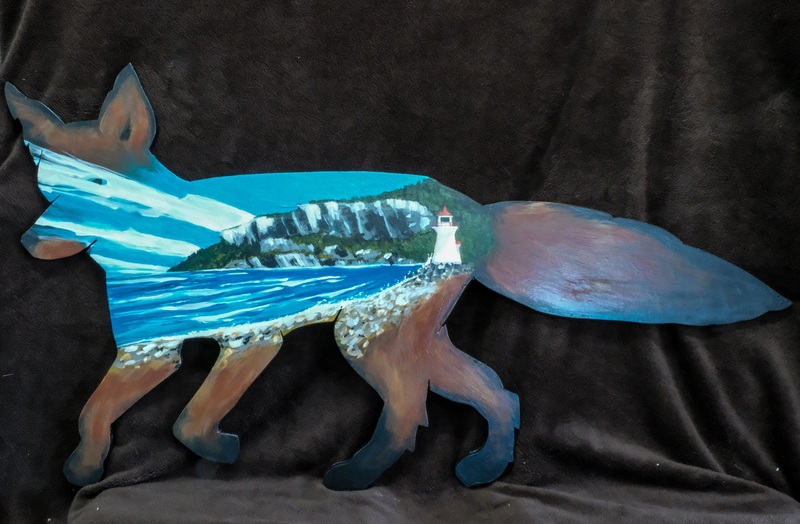 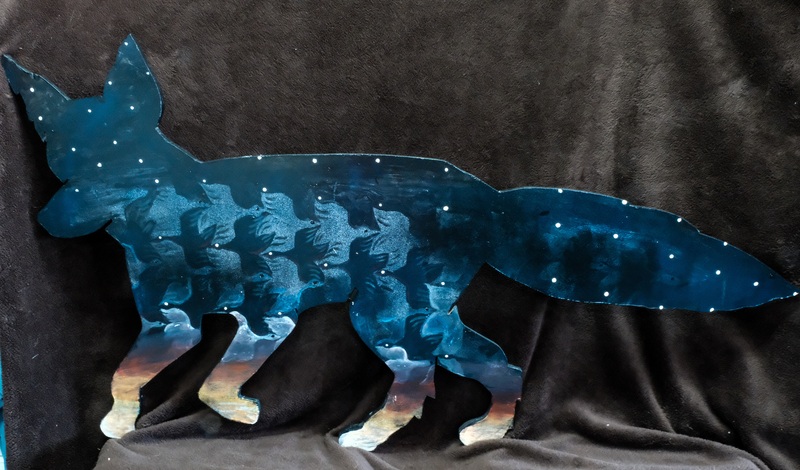 The BPSA, sponsored by the Northern Bruce Peninsula Municipal Council, created art foxes that were placed in a number of locations in Lion’s Head. 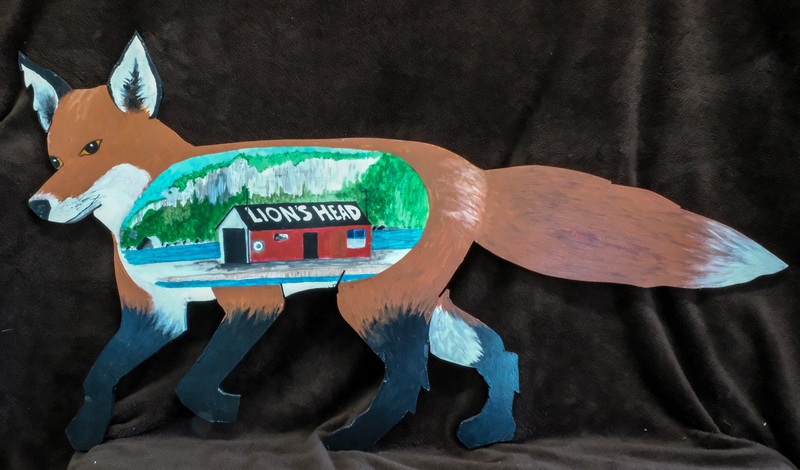 There was a map to travel around Lion’s Head to find all the foxes (The Fox Trot). 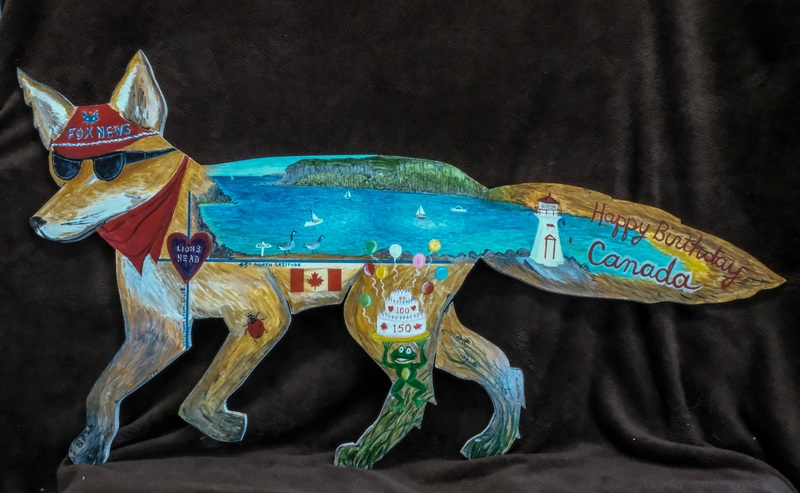 Each location had a question on the map and completed maps became the ballot for the draw. 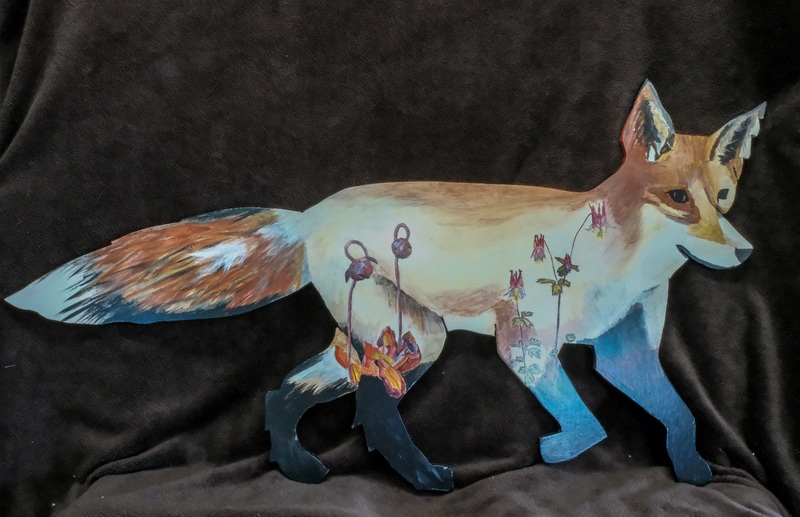 At the end of the season we drew ballots and gave away the foxes. 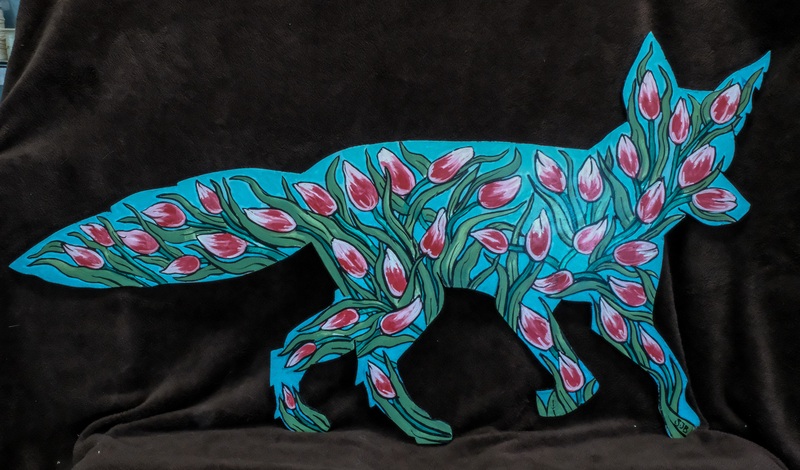 All occasion fox cards are still available at the Gallery in Ferndale.